Mary has lived in New Malden all her life. She has a daughter now in San Francisco, and a son working in Italy. Her late father Frank Steptoe was twice Mayor of Kingston. Mary’s main interests are adult health and planning. She sat on the Health Overview Panel as a Councillor from 2006 to 2010. She currently spends a lot of time helping elderly residents fill in claim forms for Attendance Allowance, Disability Living Allowance and Blue Badges. Mary is chair and founder member of the Maldens & Coombe Heritage Society, Welfare officer for the Malden branch of the Royal British Legion and the charities co-ordinator for the New Malden Farmers’ Market. Her interests include travelling, with a passion for Tuscany, and researching family trees. 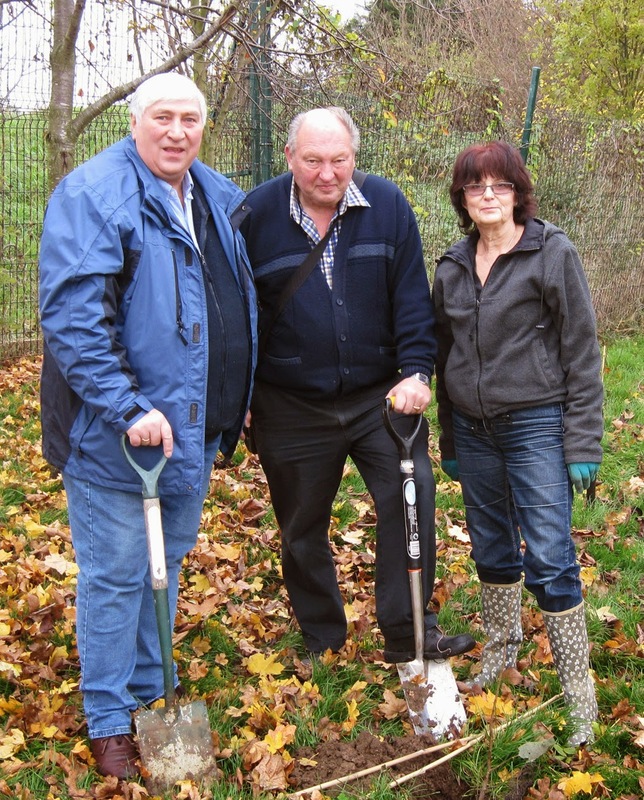 She was recently successful in getting the Council to clear the debris from the ancient pond in Church Road, and to install pump to maintain the pond. At the moment she is helping raise the funds for a bronze plaque on the High Street War memorial to commemorate the Centenary year of the First World War. Kevin was born in New Malden and brought up in Old Malden having attended Burlington and Beverley Schools. He is a school Governor in Kingston and has run and established a number of innovative charities in the education sector. He now runs a Kingston based business as well as being the Chairman of a Trust in the centre of Kingston that is raising the profile of Kingston as a place of national historic importance. Kevin feels that the Old Malden ward is often forgotten by the Guildhall and wants to do more to fight for money to come to the area. David has served on the Council for thirty years, including three terms as Deputy Mayor. A retired social worker, he spends much of his spare time helping disadvantaged families. He was awarded an MBE last year for his community work, including raising funds for an electric wheel-chair for a double amputee and a walking brace for a young teenager. During the Bosnia crisis he arranged for a lorry load of blankets and clothing to be taken by lorry by volunteer drivers, and at the time of the EU ‘butter mountain’ he collected and personally delivered surplus butter to each elderly and disabled resident in his ward. 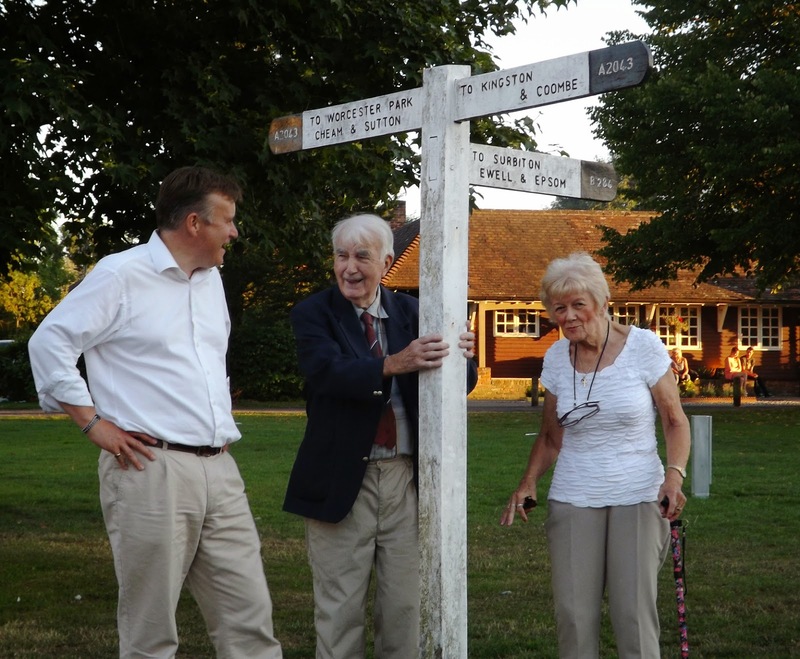 Today he is active on behalf of the Kingston Association for the Blind, Arthritis Care, Smith’s Charity (Parish of St John’s), the Horton League of Friends, and is a a governor of Richard Challoner School and President of the Motspur Park Horticultural Society. He led the fight against a proposal close South Lane from the A3, which would have affected residents on the Painters Estate. He persuaded the then Transport Minister to view the site and it was agreed to keep it open. Promoted by Ben Mallet on behalf of Mary Clark, Kevin Davis and David Fraser, all of 3 Bridle Close, Kingston upon Thames, KT1 2JW. Eric Allen I have been a resident of Sutton since 1986. Married with one son who is currently studying for his GCSE this June. Born in Glasgow, arrived in Sutton when working for an Insurance company in Wimbledon. Subsequently worked in the City and was an Underwriter at Lloyds of London before starting my own Insurance brokerage in Sutton in 1998. I am currently a member of the Sutton Environment & Neighbourhood and the Planning committees and the Conservative deputy Financial spokesman. Since becoming a councillor I have also served on the LGA (Local Government Association) Audit and Scrutiny panel and The Environment and Housing Board. I have found the position as your ward councillor (Since May 2010) both challenging and rewarding and would welcome the opportunity to be your Nonsuch councillor for another 4 year term. Rona Forzani I have lived in Nonsuch Ward, Sutton for 32 years and am happily married with 5 children; all locally educated. Having served as Parent and Community Governors at my local Primary and Secondary schools for over 23 years, I am now enjoying being a School Pastor and Street Pastor assisting the night time economy in Sutton. I value being part of making a real difference to the community in which I live, and the people. Having served voluntarily in local Education, I now value the privileged opportunity to serve as your councillor in a wider arena of challenge. Alan Plant I have been resident of Nonsuch Ward, Sutton for 36 years. Married for 47 years. Very much a family man with 5 children educated in Sutton and 10 grandchildren. I attended Technical College in Wimbledon, and served an Apprenticeship in Mechanical Engineering and Design. I owned a successful small Marine Engineering business before retirement. Having an active interest in local issues, I re-formed Chapra Resident Association, acting as Chairman since 2010 - now coupled with Ward Coordinator of Nonsuch Neighbourhood Watch. I am a member of the Council's Local area committee on behalf of the residents, together with attendance of the Nonsuch Police Ward Panel meeting and the Outer London Fund Stakeholder meeting. The opportunity of serving as your councillor, will enable me to help further improve our environment in Sutton, and Nonsuch ward in particular. Nonsuch Ward suffers from major traffic delays during peaks, both in Central Road and on the A24 London Road. The hold ups along the A24 could be improved with better traffic light phasing at Gander Green Lane. Moving the bus stop outside Sainsbury`s North Cheam to the inside lane of a red route doesn't help. The traffic in Central Road needs serious attention and we are supporting a cross boundary traffic review to really address this properly. Church Hill road with a failing sub-structure and being overloaded with out of service buses, is in an almost constant state of repair and not fit for purpose. Resident’s requests for a 20 MPH zone have been ignored despite it being adjacent to a school. We also need a safe crossing on the A24, near Oaks Avenue where residents have a difficult time crossing over to reach the bus stop or post box. We need to preserve buildings that are typical of our area and those which serve the needs of our residents. It is also important to restrict overdevelopment of a residential plot, and there should be sufficient off road parking spaces when considering any development. Where a new development with residential accommodation can be successfully built without detriment to the area, then account must be taken to ensure the infrastructure is in place to handle the additional population, be it medical facilities, schools places or off road parking. To ensure the public’s content with their surroundings and improve a visitor’s perception of the area, we must ensure no major building is allowed to fall into the condition of the Victoria House eyesore. Landlords, developers and owners must be made to keep their property in safe and respectable condition. In a recent letter to the Guardian a resident asked if anyone on the council understand fallout levels. The answer is 'Yes' - At the first Incinerator planning meeting, both I and fellow Conservative, Graham Whitham, questioned the applicants on the dispersion of the Nitrogen Oxide from the waste stack. Additionally, we questioned the impact of prevailing winds and highlighted concern that particles could be dispersed over nearby Boroughs. At that first meeting, Graham, Stephen Fenwick (Lib Dem) and I voted against, while three Lib Dems voted in favour and two abstained. When the meeting was re-run Stephen Fenwick U-Turned and voted in favour along with previously abstaining Lib Dem colleagues. The views of Councillor Whitham and myself were unchanged and we voted against. Waste will continue to be a problem particularly with a growing population but we must consider all possible alternative for the sake of the next generation. Having a real interest in education, serving as a school governor in my children’s local Primary and Secondary school for over 23 years, I can appreciate the excellent work our schools do in providing high quality education. Sadly, over this time, I had been frustrated by seemingly short-sighted decisions of Local government to close schools when birth rates fell, only to put pressure on schools and their governing bodies to increase class sizes just a few years later when there were too few schools and pupil places available! When will someone implement longer-term strategies that save taxpayers’ money and tears? Furthermore, neither Worcester Park nor Nonsuch Ward have a Secondary school and many of our children have to travel to Kingston, Ewell or to other wards for their schooling. Whilst Sutton prides itself on high standards of education our Grammar schools’ intake goes beyond local boundaries; is this fair? The Local economy in North Cheam is blighted by the eyesore known as Victoria House. I have for many years lobbied the Council regarding its terrible condition and more recently the Health and Safety issues, none of which were addressed until a broken window fell to the pavement. Certain Conservative proposals to deal with the redevelopment are being considered and we're hopeful that work will commence, redeveloping the site very shortly. 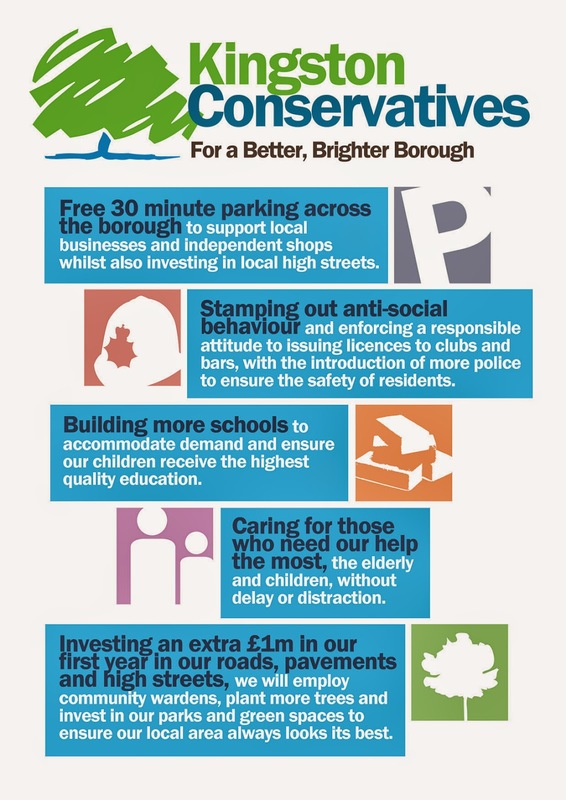 Conservatives are concerned about how your Council tax is spent, whether it be £7000 to wall paper a derelict building only to see it fall away in 12 months, or wasteful spending on wooden structures in Sutton High Street or even the ongoing £400,000 to cover losses at Sutton`s life centre. This has to stop, we need sound commercial practice and common sense, to eliminate this waste. With more emphasis on developing sustainable business to boost the local economy. I have lived in the area for 10 years with my wife and have been a community champion for most of that time; setting up a friends' group, chairing residents' committees and a police SNT ward panel and as a Governor at Nonsuch Primary. I am perhaps most well known for running the blog you are currently reading, which if you didn't already know - details most things going on in and around Worcester Park. I have been on the Council's Cheam North and Worcester Park local committee as a community representative since 2012, representing the Friends of the Daisy Field. In my time I have worked as a software developer, an audio engineer, a pizza shop manager and run my own business (a recording studio). I still like to compose and play music in my (almost non-existent) spare time. My son will be starting school at Dorchester in September. I am an experienced and successful campaigner who served on Runnymede Council, holding both the economic development and housing portfolios. I now want to represent Worcester Park where I live. I am passionate about changing our local area for the better. You will find me a straight talker, sometimes outspoken. I get things done. I believe in small and safe local government with low business tax to encourage investment, creating opportunities and apprenticeships for local young people and as a car driver I am pushing for a cross border wholesale review of the traffic conditions and parking in Worcester Park. I have lived in Worcester park since 2002 with my wife and two daughters. Having been self-employed, I understand the importance of keeping costs low and minimising waste. I hope to use this experience effectively as a councillor when managing budgets using taxpayers' hard earned money. I enjoy watching sport and charitable work. Traffic is one of the biggest issues faced by Worcester Park. The regular traffic jams in Central Road and spilling into residential streets has been a source of frustration for people for many years. It is too big to be solved by tinkering with things like the re-phasing of traffic lights. Something big needs to be done and that is why we've already spoken with our counterparts in Kingston and Merton (and with Boris Johnson) about a cross boundary traffic review in order to look at real long term solutions to this problem including the possibility of another road connecting the A24 to the A3. Reducing traffic also means giving people more incentives to walk or use public transport when they can. Providing good transport links close by and supporting good retail shopping locally will help with this. This is one reason we campaigned to bring Crossrail 2 to Worcester Park. Good planning is necessary to preserve the character of an area while ensuring it serves the needs of the community as well as possible. We will reverse the trend of too many traditional family homes being bulldozed and turned into ugly blocks of flats. We will change the current planning policy which encourages developers to provide too few parking spaces on new developments as it leads to our streets being clogged with cars that can't park at home. There is already inadequate infrastructure in Worcester Park for the number of people here so we'll resist any further major housing developments in the area while trying to address the lack of Doctors' surgeries, school places and parking. We were also the only party to join with local residents to campaign against the Green Lane Mosque proposal due the traffic and parking problems it would cause, doing so from the start. Eleven years ago, Sutton's household recycling rate was in the top 10% in the country but since then we have dropped to the bottom third while Conservative run Croydon's recycling rates are now much higher than Sutton's have ever been. We will turn around this decline in recycling rates. We will also double the free garden waste collection to 4 bags. We will keep the weekly rubbish collection and look at the possibility of reintroducing a street skip for people to get rid of bulky items they can't take to the tip. We will also clamp down on fly tipping and littering and work with local businesses to help keep areas clean around or as a result of their shops. A good education is essential for all children, benefitting both the children and the community they live in. Unfortunately the current Lib Dem council had allowed a shortage of School places to develop - the Sutton Guardian used the phrase "Borough's education crisis begins to bite". Two new schools will be required by 2019 and there is still no site secured for even one of them so we will have our work cut out to ensure enough places are provided over the next few years. Additionally there is a lack of secondary school places for children in Worcester Park so we will work hard to address this too. Children also need more than just their formal education to thrive. We will encourage and provide access to sports facilities and clubs, youth activities and anything that can help channel our young people's energy into positive and creative things. To get our local high street thriving we need more people choosing to shop locally and more people wanting to shop here when visiting or passing through. Improving local business will in turn lead to our shops employing more local people. We're already talking with local traders and the traders associations to find out how we can help improve business. We're looking to help with their own schemes like the 'Our Worcester Park' re-branding and other incentives, more information showing the extent of available products and services, and with regular events like the Christmas Late Night. We also want to help people to want and be able to shop here with more 'stop and shop' parking and by supporting local speciality businesses that attract customers. Plus we will help start-up business by waiving their business rates for the first year. When the local economy thrives, the area thrives. 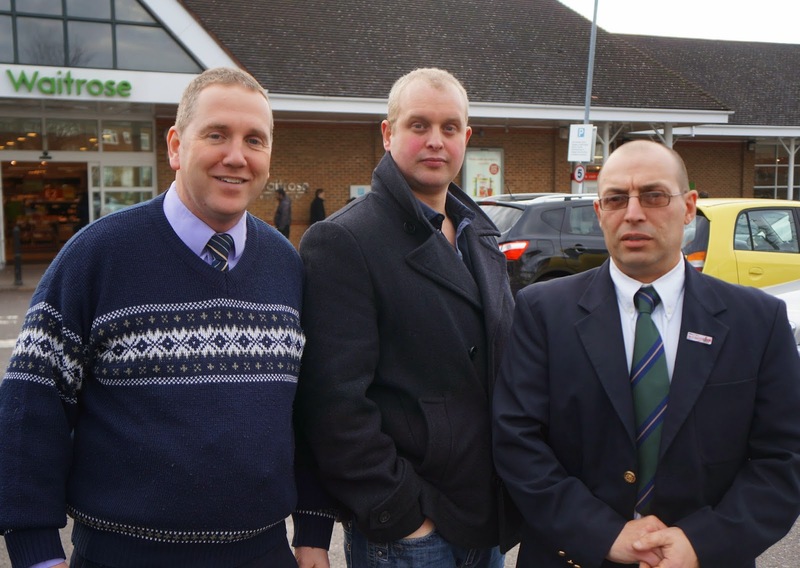 For more information about other Conservative candidates in Sutton see here.